SFGC was Established in 1992, with only one course (BA), the college has grown phenomenally during the past two decades. Now we offer undergraduate courses in Arts, Commerce, Physical Science, Life science and Computer Science; and the postgraduate course in Management (MBA). The establishment of SFGC signaled a sea-change in the educational scenario of Bangalore and a boon, especially, to the aspirants from North Bangalore. 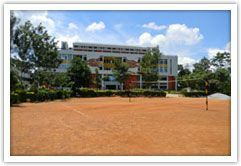 Professionally managed by the SET, and affiliated to Bangalore University, the college is managed by a governing council of eminent academicians and management experts who benchmark quality targets and ensure that they are achieved by the college.